Wimborne hosts final concert for Bournemouth Jazz Orchestra. 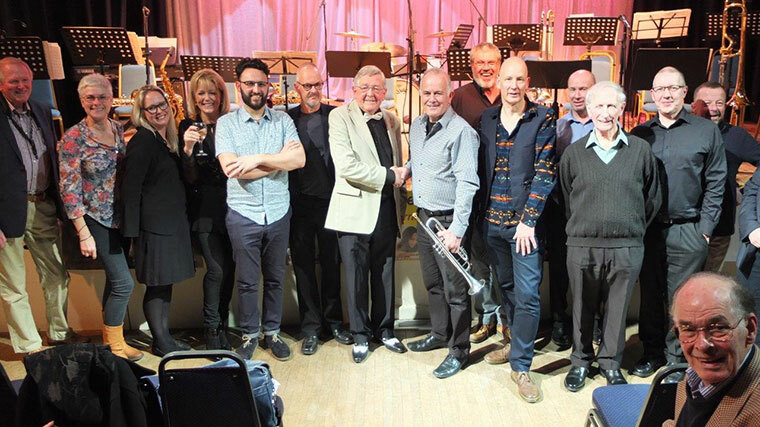 The audience-packed hall at the Allendale Centre in Wimborne saw the fifth annual ‘Jazz at the Allendale’ charity concert recently. It was organised by Wimborne Rotary, to mark the final performance by the Bournemouth Jazz Orchestra, which disbanded after the final number. Orchestra leader, Tony Waller, explained that retirement of some regular players and difficulties in finding musicians of a professional standard who are prepared to give their services free of charge, contributed to his decision. A retiring collection at the concert raised £1,250, which will be shared between the Poole Society of Young Musicians and Rotary charities. 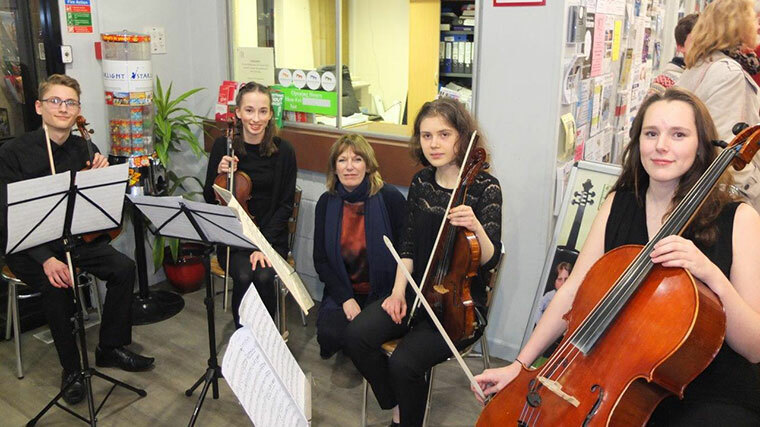 During the concert interval, four young musicians from the Poole Society played for an appreciative audience. Asked about the future for the annual charity concert, organiser Rotarian Darryl Reach said, “Together with the support of our business partners, we hope to continue the series of successful concerts and a provisional date of 11 February next year has been set. “Jazz fans interested in being kept informed should email their interest to: jazz@wimbornerotary.org”, he added.